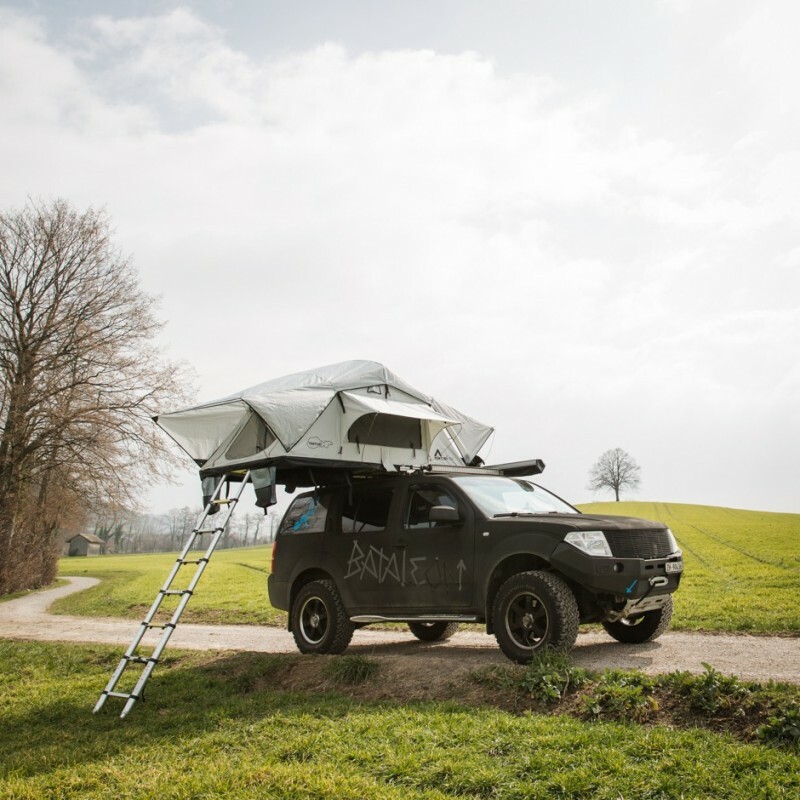 A well thought-out roof tent with many possibilities of use, with its weight of 54kg it fits on many cars and of course on SUV's. With roof windows and many clever details, waterproof and very sturdy. Everything you need You only need roof rack and a car. 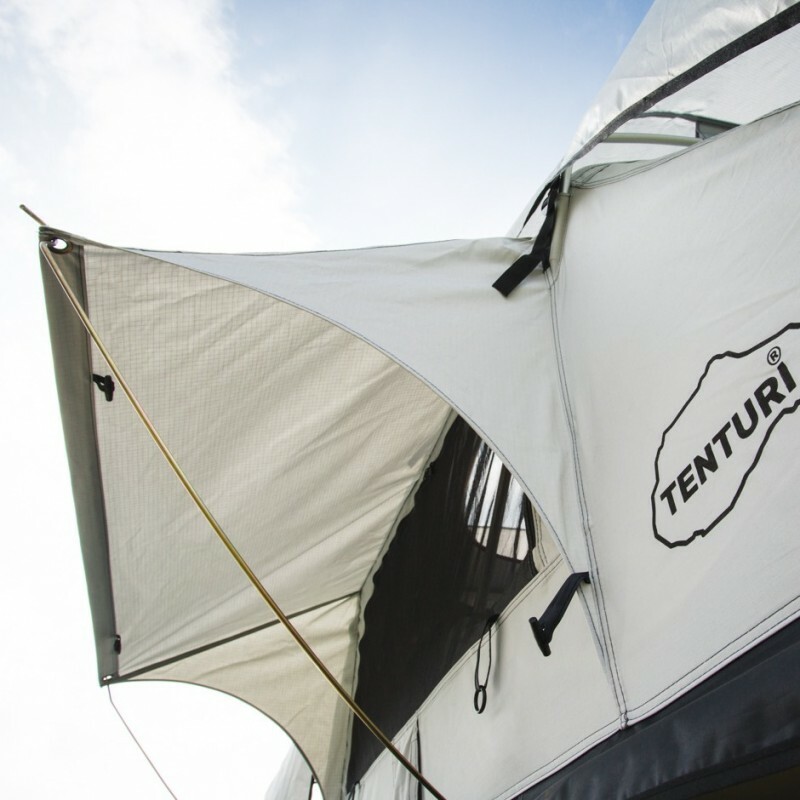 - TENTURIONE has a unique curved roof construction, which provides an additional height in the tent. 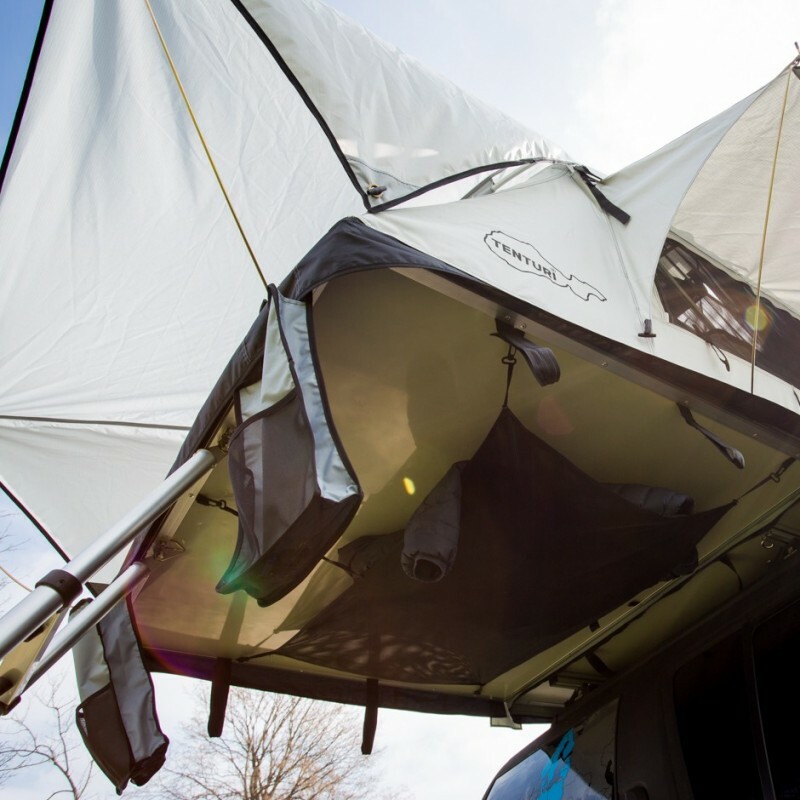 This prevents water accumulation and improves the aerodynamics, which makes camping on windy and rainy days more pleasant. 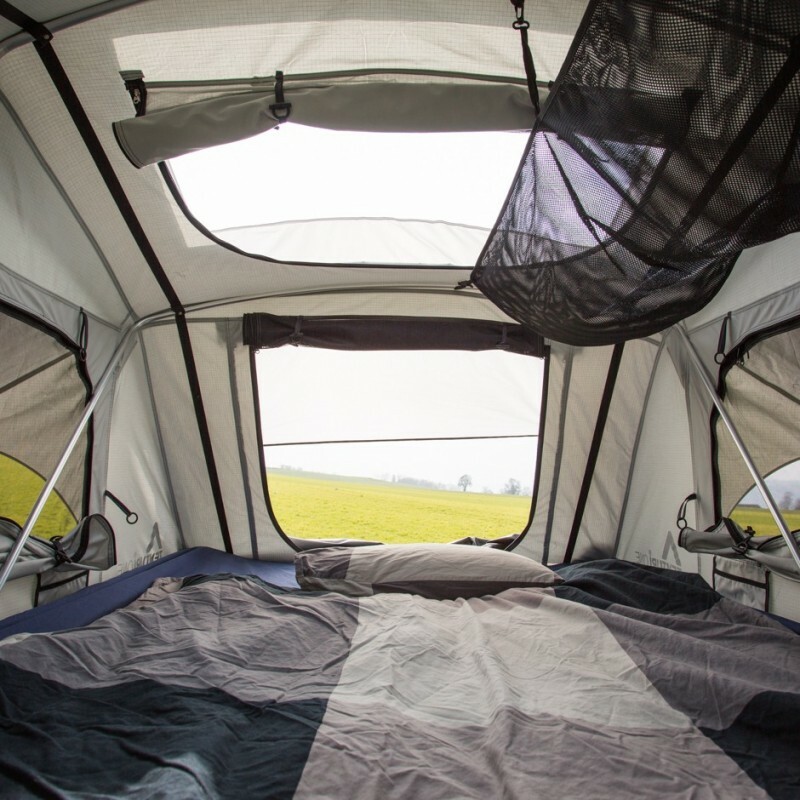 - All tent poles and hinges are made of metal and give the tent more stability and longer life. - The robust and lightweight aluminum sandwich floor is equipped with larger hinges than with other dormers. 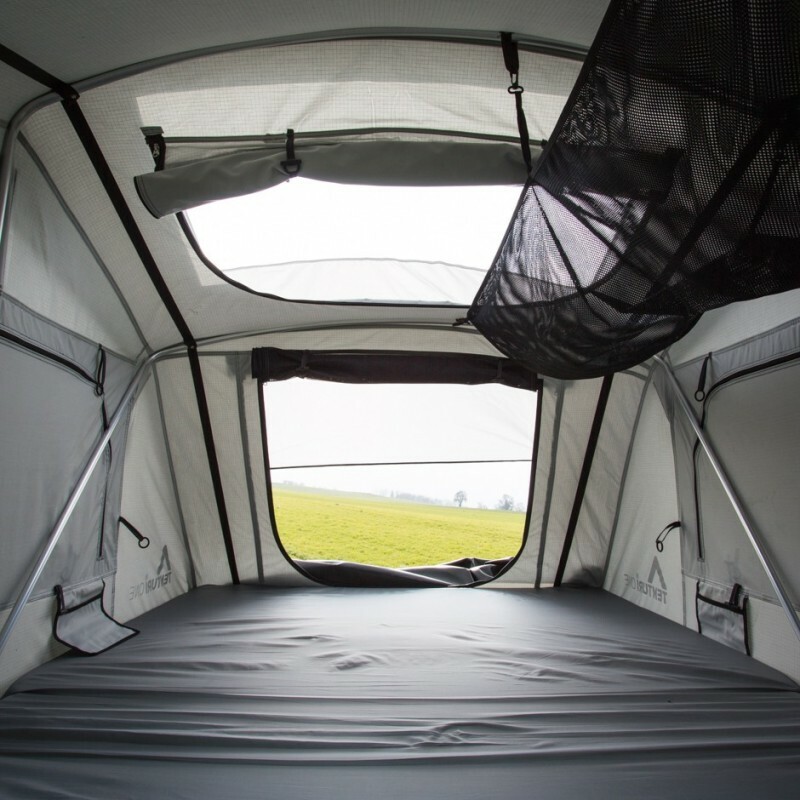 This has the advantage that bed linen and pillows can be stowed permanently during the journey in the tent. - In the tent offer 4 internal pockets bursts for flashlight, smartphone and everything you need when you spend the night in the tent. - In addition, there is a large detachable multi-purpose freight net which provides additional storage space. 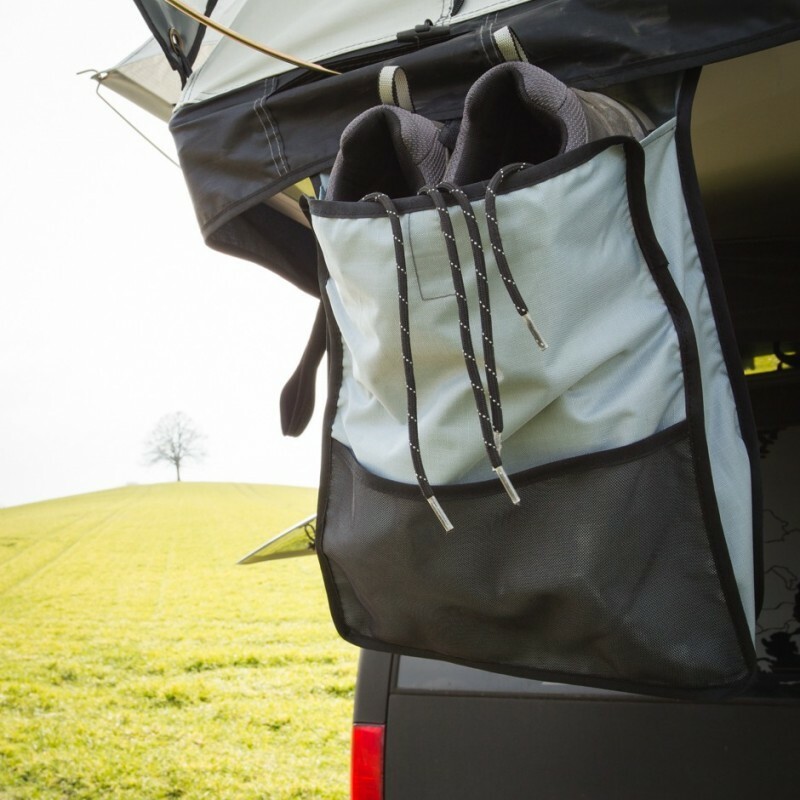 - When entering the tent, the shoes can be deposited comfortably in two removable shoes next to the entrance doors. The shoes are ventilated, which means that even wet shoes can dry well over night. 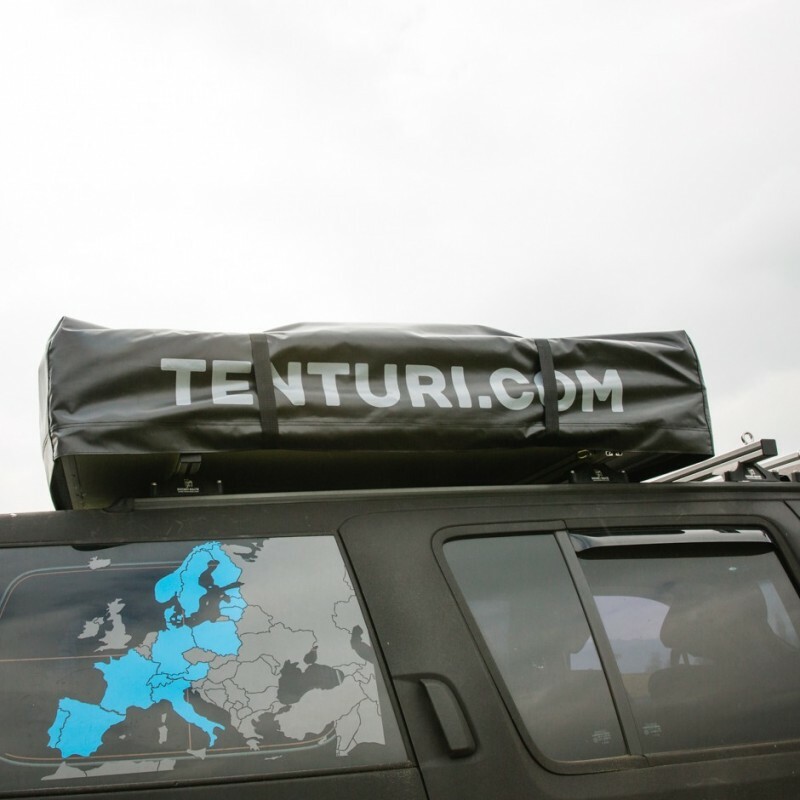 - Under the tent floor there is a multi-purpose freight network for even more storage space in the height. - Includes a 60mm high ergos foam mattress. - The mattress is placed on an anti-condensation mat, which prevents condensation from forming between the floor and the mattress. - Thanks to the telescope ladder, the conductor height can be adjusted to any vehicle. - The stars can be viewed at night with the roof window. - All windows and doors have mosquito net made of 130g polyester. - With additional fabric doors, windows and entrances can be sealed. 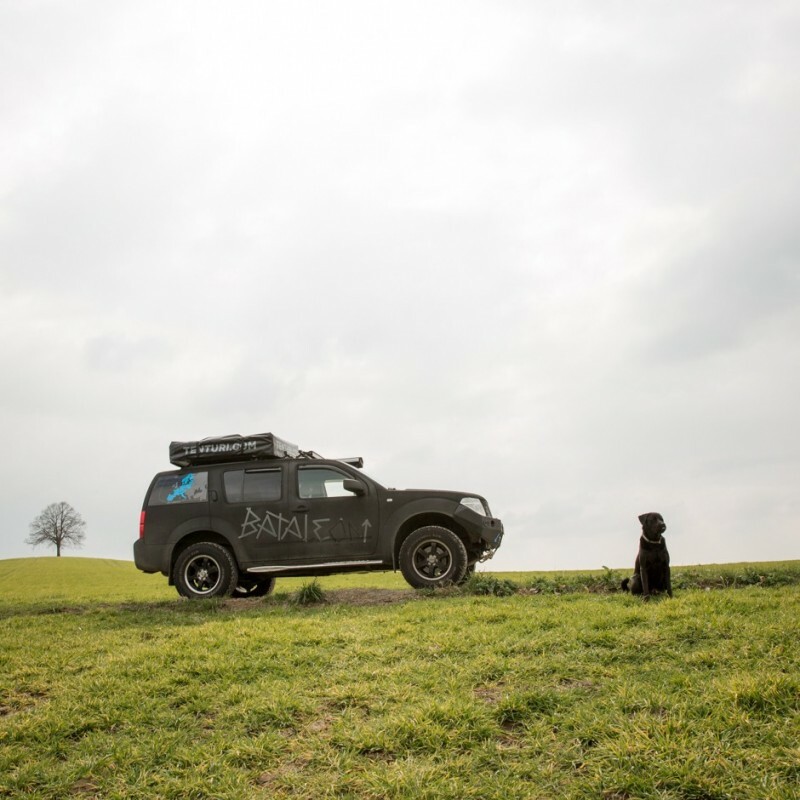 - The cable guides, which are sealed with velcro closure, allow a cable connection to the car. 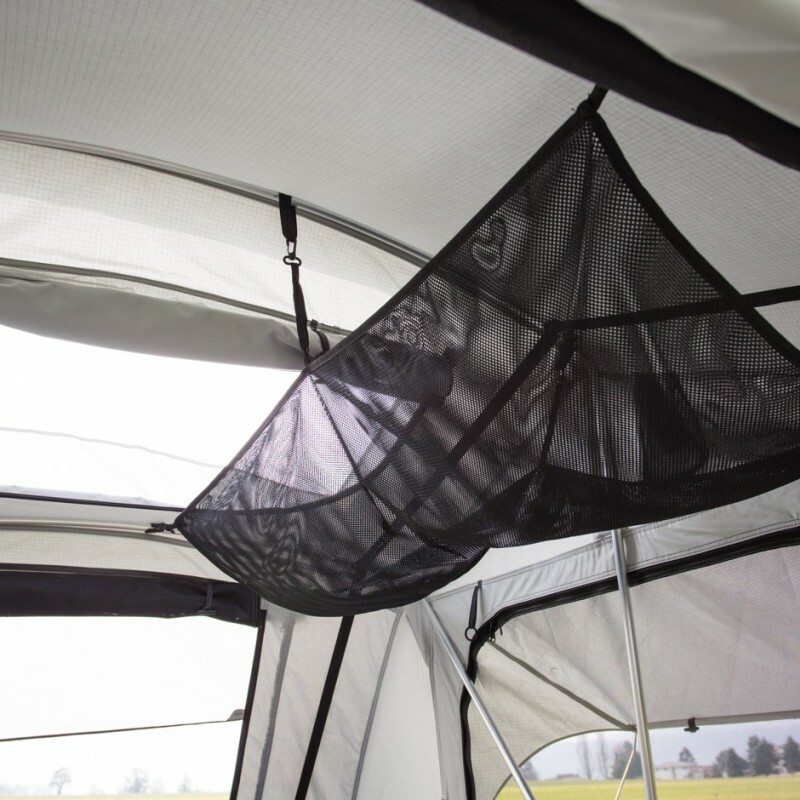 - The roof tent is equipped with YKK zippers and stainless steel eyelets.